Sometimes it's hard to stay positive. I chant mantras in my head that things could be a whole lot worse. But this isn't the place to get miserable so I've looked for things to brighten up my week. A wet Sunday full of work and chores. 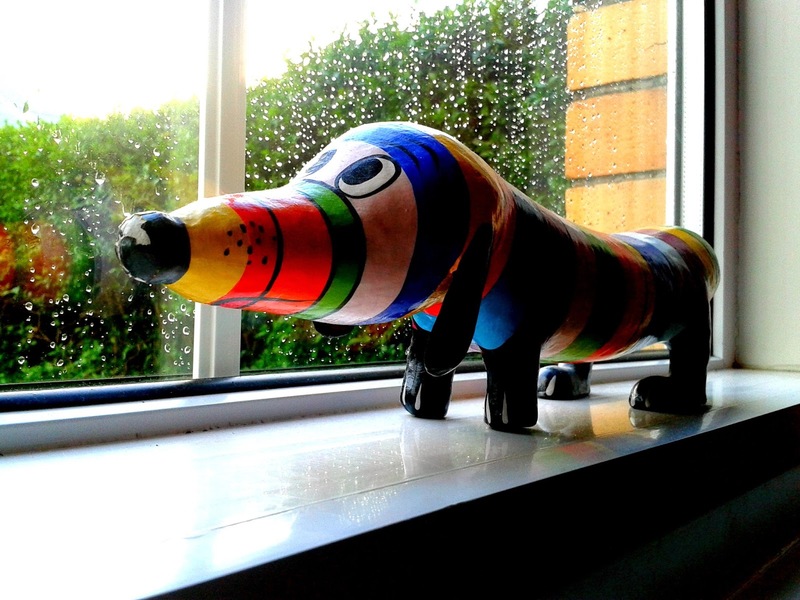 Strudel the dog has sat on our window sill for many a year brightening up the dreariest of days. I checked out the plants today growing in the conservatory. 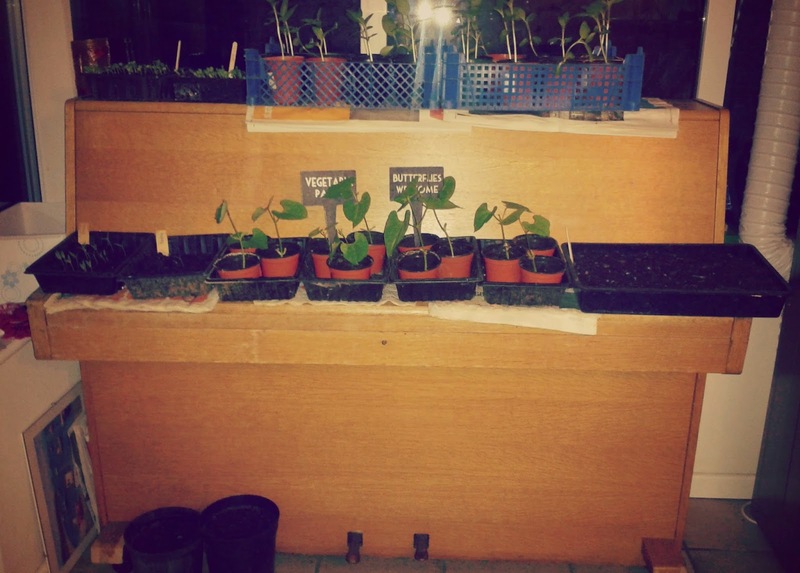 The sunflowers and beans are doing really well and the tomatoes aren't too far behind. The piano never gets played in case you're wondering. The chickens came up to the back door to greet me this morning. Currently very muddy and patiently waiting for their coop to be moved. Again. They always make me smile though, however muddy they get. 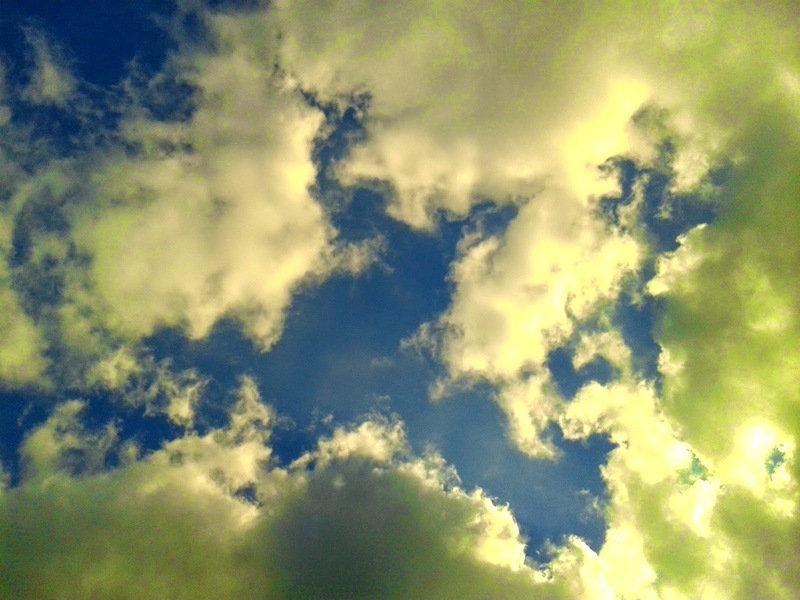 The sun reappeared following days of rain and cloud. Such a welcoming sight. Not too late to bed tonight. I found the Good Luck card that the children had given me at the beginning of last week. I really feel I need some at the moment. 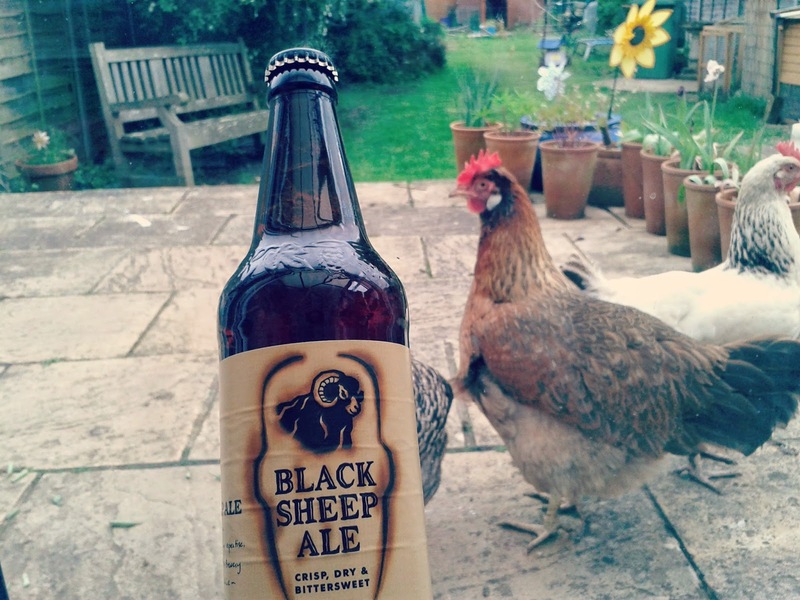 The Friday feeling is so good now and I have a new routine of a sneaky ale in the evening to unwind. Tonight it accompanied a pile of work that I wanted to clear ahead of the long weekend so not quite as relaxing as usual. A lovely afternoon in the sun today at a local National Trust property, The Courts. 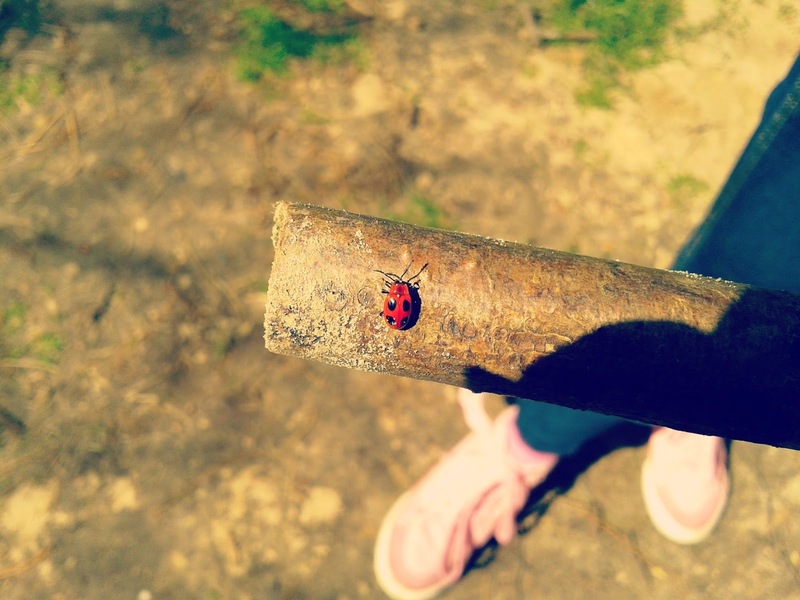 We spotted this little ladybird resting on a stick in the Forest Schools area. Sorry to hear it's hard to stay positive sometimes :( I hope things start to pick up for you. I love your colourful dog, Strudel! these are some amazing pictures, they made me smile too! The third shot of the chicken is my favourite - fab! That chicken photo is amazing and I adore the colourful dog! Love thar chicken photo! I'm visiting now to have a nice ale with you I think. We all need to unwind sometimes, and hope you took some of the weekend off. I like strudel the dog - I want one!! It is hard to stay positive at times but you've done the right thing by finding things to keep your spirits up. sorry times are a little tough at the moment (hugs) but finding the positives is the best thing to do. I realisedI hadn't commented last week! 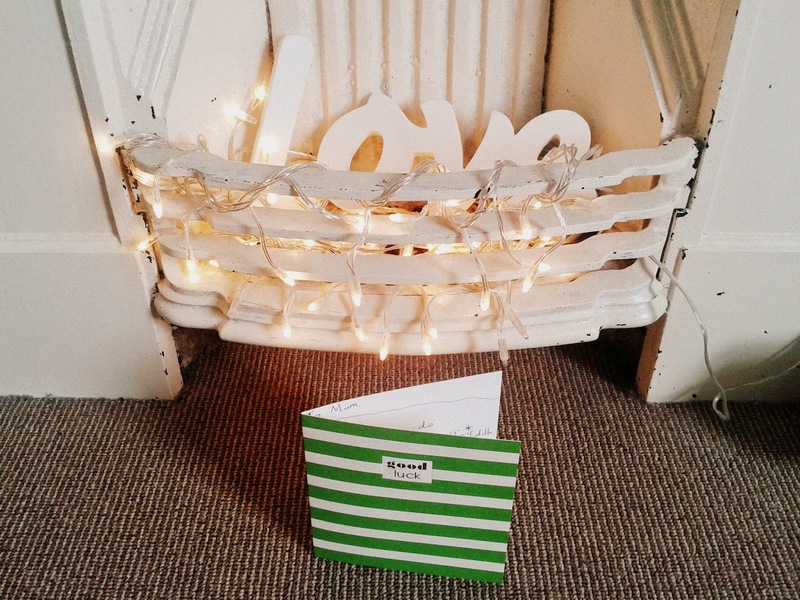 I love love love Strudel the dog - he would definitely cheer you up. 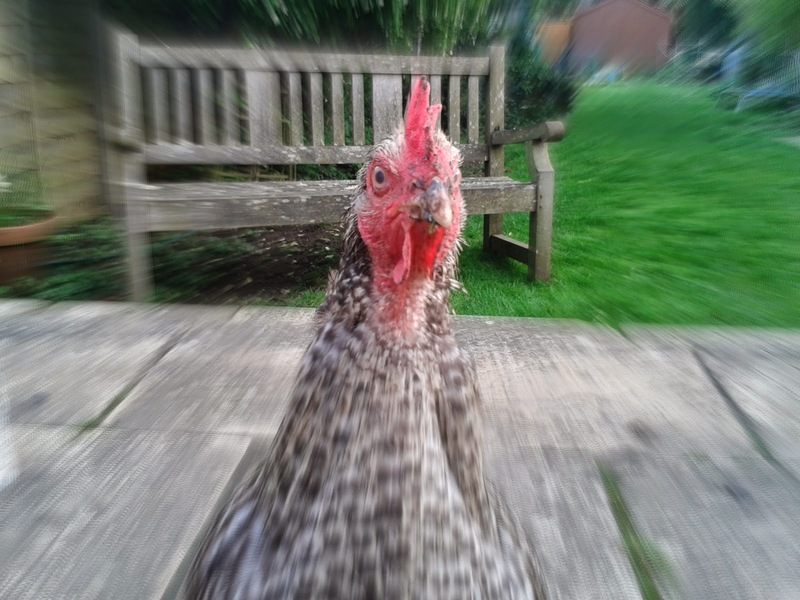 Your chicken photos are great too. I hope the work thing settles down and gets easier. Love the dog on the windowsill, he looks great fun!